Some players become ingrained in a club. Whether as captain, the superstar playmaker or because of the blood, sweat and tears they’ve spilt for the team and their fans. Sometimes, for different reasons, those players end up somewhere else. An icon of the Cronulla club, Rogers played 200 games for the Sharks representing Australia, New South Wales and captaining his club to a 1978 grand final loss against Manly. He also won the 1975 Rothmans Medal and is regarded as one of the greatest players to ever wear a Cronulla jersey. After a financial dispute, Rogers walked away from the club signing with fierce rivals St George. His final game for the Dragons was two years later in the 1984 reserve grand final. 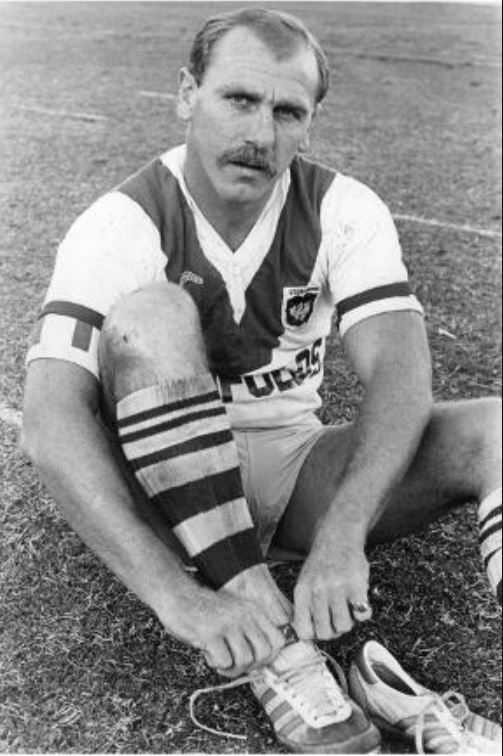 The undisputed ‘King’ of Queensland rugby league, Wally Lewis was the marquee signing for the Brisbane Broncos as they entered the NSWRL in 1988. His ageing body however struggled with the added workload of the Sydney competition as frustrations boiled over with coach Wayne Bennett. He would finish his career at the battling Gold Coast Seagulls. 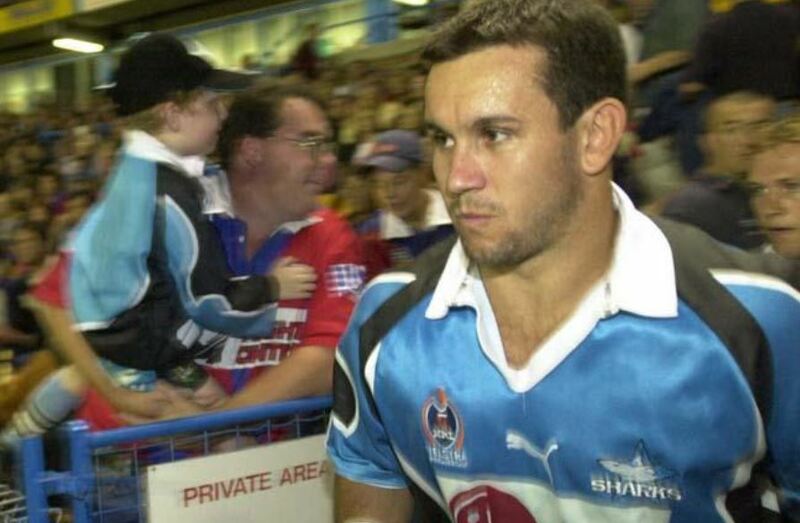 A premiership-winning hero of the Hunter region, Johns formed one of the most dangerous halves combinations in the game with little brother Andrew at the Knights. The son of a Cessnock coalminer, Matthew should have never played in Newcastle in anything but a blue and red jersey. 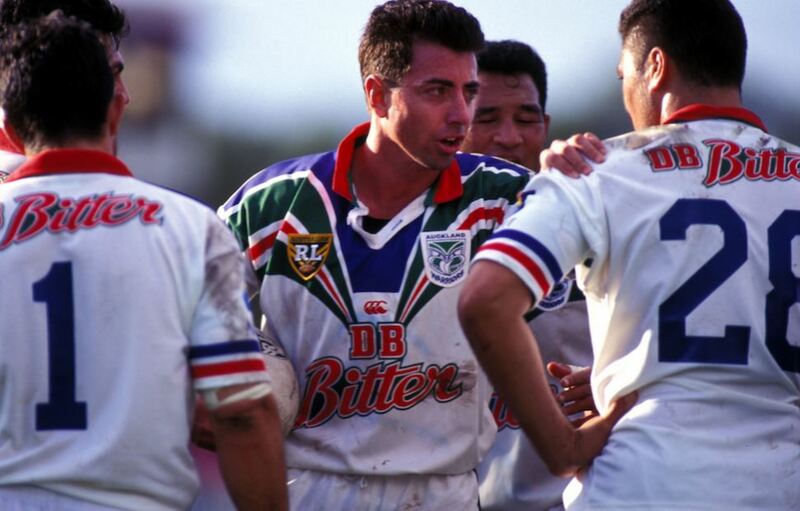 After being squeezed out of the club due to salary cap constraints, Johns watched from the other side of the world as the Knights defeated Parramatta for the 2001 premiership. He then shocked everyone by announcing he would return to Australia the following year and take up a deal with the Sharks. In a forgettable evening for Matthew, he and his Cronulla teammates were destroyed by the Knights at Marathon Stadium 52-8. His brother scored 20 points. The ball-playing forward helped Manly become a contender again as the Sea Eagles claimed premierships in 2007 and 2011. His link play between the halves and backs made him one of the most vital cogs in the Manly engine. He would leave the club in 2015 to join the Rabbitohs due to ongoing financial disputes between himself and Eagles officials. Another that helped Manly become an NRL heavyweight that left the club to finish his career elsewhere. 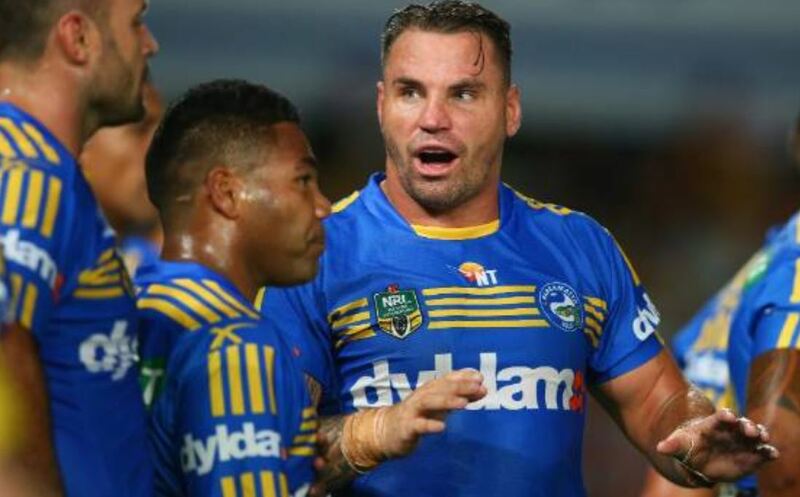 Much like Stewart, Watmough’s body struggled with injuries and failed to make an impact his new club. The heart and soul of Belmore who couldn’t come to terms on a new contract at the Bulldogs in 2017. With Canterbury signing Kieran Foran, a new deal could not be reached and the State of Origin five-eigth announced he was leaving his beloved Bulldogs. Canterbury lost not one but two club legends at the end of 2017 when captain James Graham was moved on to make room for Australian prop Aaron Woods. The great halfback made up one part of Melbourne’s ‘Big Three’ for over a decade and it seemed only right that Cameron Smith, Billy Slater and Cronk would finish their careers together in the Victorian capital. Cronk had other ideas though as he signed with the Sydney Roosters for 2018 to be closer to his fiancé. An intimidating figure in the Penrith forward pack, Geyer was part of the Panthers’ maiden premiership in 1991. A local junior, Geyer left the club due to a number of off-field incidents including the death of Ben Alexander. Geyer played for both Balmain and the Western Reds before making his return at Penrith in 1998. The captain in Penrith’s ’91 grand final win, tragedy struck the Alexander family in June 1992 when Greg’s brother and fellow Panther Ben died in a car accident. The International utility moved to New Zealand to take up a contract with the Auckland Warriors in their maiden season and spent two years across the ditch. He came back to Penrith and finished his career at the foot of the mountains. 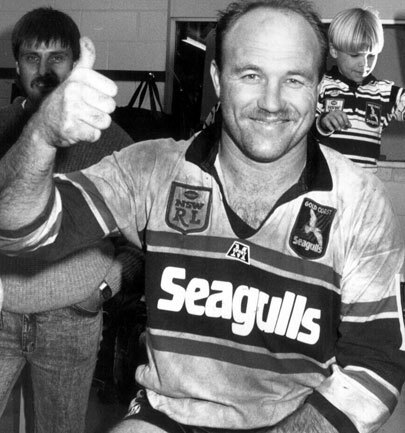 What Allan Langer was for the Broncos, Stuart meant as much to the Raiders. That was until contract negotiations with the club stalled in 1998. The premiership-winning pivot signed with the Bulldogs appearing in 40 games for Canterbury-Bankstown. One of the greatest forwards the game has produced, an ageing Clyde was squeezed out of Canberra alongside Stuart as the club focused on re-signing a number of juniors. Clyde headed to Canterbury and finished his career with Stuart at the ‘Dogs. 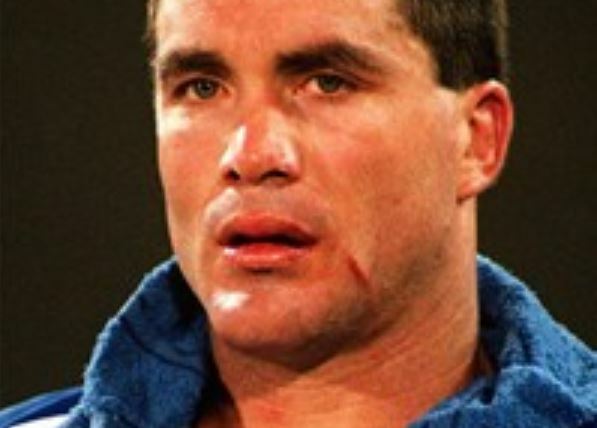 A Dragons man through and through, Mundine was lured to the Broncos at the height of the Super League War. Mundine played just one season at Brisbane winning the Super League grand final before making his way back to Kogarah for the 1998 NRL season. The enigmatic five-eigth burst onto the scene in 2003 and helped Wests Tigers on their fairy-tale rollercoaster ride to the premiership two short years later. The poster boy of the club for years, Marshall shocked the rugby league world by announcing he would join the Auckland Blues rugby side in 2014. His ill-fated switch of codes quickly saw him back in rugby league but at the Dragons instead. 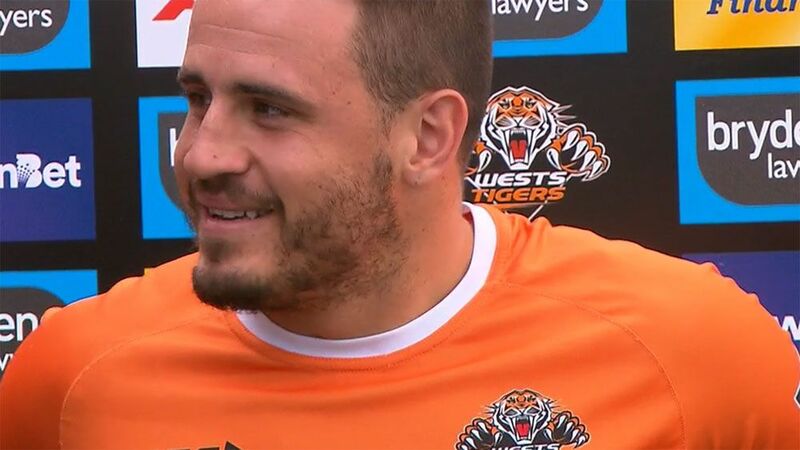 After one season at the Broncos, it was announced Marshall would return to his beloved Wests Tigers for 2018. 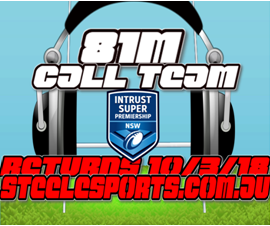 The81stMinute Call Team returns on the 10th of March at ANZ Stadium for Magpies versus Bulldogs – live from 1pm on steelesports.com.au!